Fresh Air… Nature… and CW… what could be better!?! If you have ever considered grabbing your gear and heading to the great outdoors, then check out the World Wide Flora and Fauna program. In 2016 the ARRL held a year long event called ‘National Parks On The Air’. Amateur radio operators operated from parks all across America for certificates and awards. The event was a huge success. However many HAM operators weren’t aware of another ‘parks’ program they could participate in. In this episode, we talk with KA2LHO, Kraig Pritts, W0PHX George Burger, and KD0IRW, Tanner Colvin about the WWFF program, activating parks, chasing activators, why this program is great for new CW ops, logging DX, “Make Nature Your Shack”, and having tons of fun! 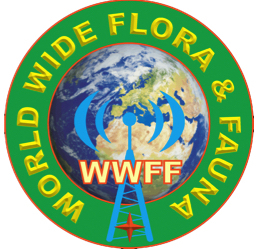 World Wide Flora and Fauna is the oldest and original parks program. There are 53 countries currently participating in the WWFF program. It takes 44 QSOs to activate a park. If you are interested in DX, this program is for you! Use a good spotting network to let chasers know when and where they can find you. If you’re a new CW op, chasing WWFF activators is an easy way to develop CW skills and build confidence. Send an email to KA2LHO, Kraig Pritts - kraig (at) kdpritts (dot) com -to request his PARKspot application. A big thank you to David Henderson and Hendersound Music for permission to use ‘Dusk Street’. Join the DitDit Podcast mailing list and receive timely updates on new episodes along with other interesting CW info! Thank you for joining our mail list! We respect your privacy and promise we will never share your email address.